Right: 'Abdu'l-Bahá as a younger man. 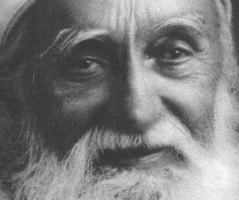 "'Abdu'l-Bahá" means "Servant of Bahá"
'Abdu'l-Bahá is the eldest son of Bahá'u'lláh and was appointed by Him as the Interpreter of His teachings and the Centre of His Covenant. 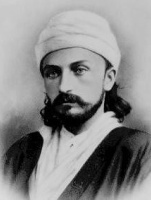 In His youth 'Abdu'l-Bahá suffered alongside Bahá'u'lláh in prison but when older He was able to travel to the West. 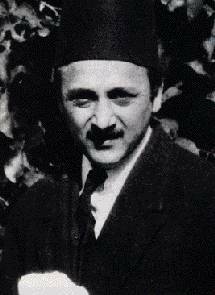 'Abdu'l-Bahá protected the Bahá'í Faith from division and passed on that duty to His grandson, Shoghi Effendi.